Fruits and Veggies: Wash your fruits in vegetables in a pan of water or fill the sink with water instead of running the tap. Bathtubs: Bathtubs are set volumes but there are things that can be done to reduce the amount of water that is used. By making sure that your plug isn’t leaking and that your bathtub isn’t overfilled, you can reduce water usage. 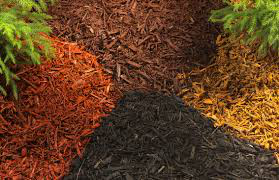 Also in a draught, reusing this “grey water” to water plants or lawn can be effective; however, caution should be utilized when reusing this water because many soaps contains harmful phosphates, and nitrates that can damage plants. What does a xeriscape plant look like and what makes it drought resistant? When choosing a plant for your xeriscape look for the following features: -Silver leaves- reflect light, aiding in the prevention of heat absorption.